Rangers suffer injury-time agony at Ashton Gate. 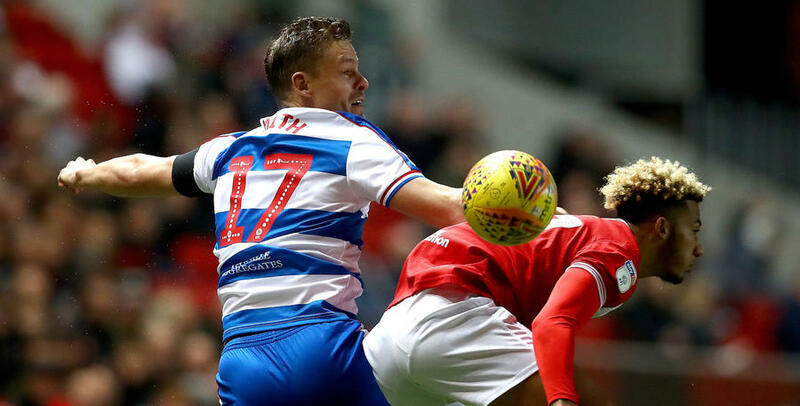 QPR suffered an agonising 2-1 defeat at Bristol City on Tuesday night, with Matt Smith’s first-half opener for the visitors cancelled out by Niclas Eliasson’s effort after the break and a cruel injury-time penalty which was successfully converted by Famara Diedhiou. It was the ultimate game of two halves, as the R’s created the better of the chances before the interval, but the hosts were in the ascendancy in the second period. After Smith’s close-range opener gave Rangers the lead, City levelled with a brilliant strike from Eliasson but the real drama of this game came in injury time when a long ball into the box dropped towards Diedhiou. Darnell Furlong got goalside of his man and was looking to shepherd the ball towards Lumley when Diedhiou stretched to intercept and went to ground as he did so. Incredibly, the referee pointed to the spot and the City frontman coolly converted from 12 yards. 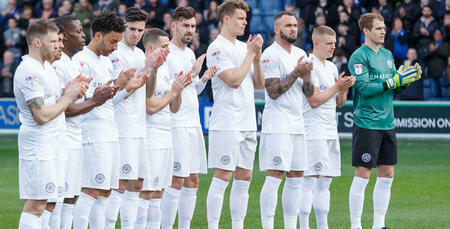 It was harsh on the R’s who had battled so hard and looked set to pick up a very creditable point but it wasn’t to be. Steve McClaren made three changes from the side that lost in agonising fashion against Birmingham City on Saturday. 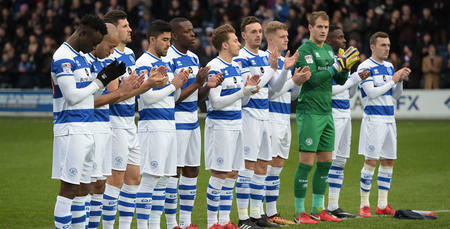 Having seen his team battle back from 4-0 down to eventually lose 4-3 against Blues, the QPR chief went with the 11 players that finished the game at Loftus Road. That meant Toni Leistner, Jordan Cousins and Pawel Wszolek came in for Joel Lynch (out with a back injury), Josh Scowen and Bright Osayi-Samuel, with the latter two on the bench at Ashton Gate. Rangers also tweaked their formation against the Championship’s form team, adopting a 3-5-2 set-up. Bristol City had won their last eight games in all competitions and hadn’t lost in 14 prior to tonight’s game. Joe Lumley lined up between the sticks behind a back three of Hall, Leistner and Furlong. Wszolek lined up as a right wingback with Jake Bidwell doing likewise on the left. Luke Freeman joined Cousins and Mass Luongo in the centre of the park behind Smith and Nahki Wells in attack. The hosts made two changes from the side that won 1-0 at Blackburn over the weekend, with Eros Pisano and Lloyd Kelly coming in for Jay Dasilva and Bailey Wright. Following a minute’s applause to remember England great Gordon Banks, who sadly passed away on Monday evening, it was the home side who had the first real chance of the match. Josh Brownhill collected the ball on the halfway line and advanced beyond Luongo before unleashing a fierce drive from 25 yards which fizzed just wide of the left post with Lumley at full stretch. That was the only chance of note for either side in the opening 20 minutes. Some typically industrious work by Cousins led to him winning possession 30 yards from goal, and he teed up Freeman who pulled his shot wide from the edge of the area as QPR grew into the game. Smith nearly broke the deadlock in the 38th minute when Freeman found him with a perfect ball from the right flank, but the striker’s downward header from eight yards was excellently saved by Frank Fielding. Moments later it was Bidwell who was the supplier, putting a ball into the centre from the left and again Smith reached it first but this time his header flew over the crossbar as QPR began to stamp their mark on proceedings. Defensively QPR were looking solid while at the other end of the pitch they were starting to ask questions of their in-form hosts. And on 44 minutes, Rangers were at it again. This time Smith played the ball to Freeman who went wide to Bidwell, and the R’s fullback’s delivery found the head of Smith once more, but again Fielding was equal to it. Brownhill went close for the hosts on the stroke of half-time but saw his curling effort drift just wide of the far post. But on 45 minutes the breakthrough Rangers had been threatening duly arrived. Freeman found space on the left again and played another great ball to the centre. Wells’ header came back off the foot of the post and into the path of Smith who casually tapped home from close range against his former side. The half-time lead was no less than the visitors deserved. Ten minutes after the restart, City had a great chance to level when Famara Diedhiou got behind the R’s defence but his header from point-blank range was somehow blocked by Lumley as Ashton Gate was ready to erupt. 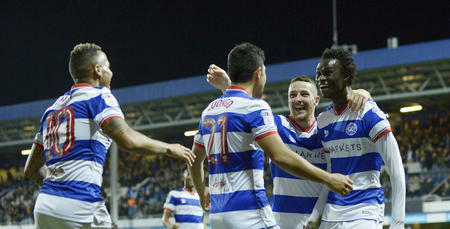 The hosts were seeing plenty of the ball and bombarding the QPR box. Hall, Leistner and Furlong were having to be at their aerial best to contain them. Freeman flashed a shot wide from distance on 70 minutes, just before McClaren made his first change of the night, replacing the impressive Smith with Tomer Hemed. It was a straight swap, with the R’s retaining their 3-5-2 set-up. But on 74 minutes the hosts drew level through Niclas Eliasson. He had been causing problems throughout the second half and came onto his left side before curling a brilliant effort into the far corner beyond Lumley. Moments later, McClaren made his second change, replacing the hard-working Wells with Ebere Eze. The home side continued to put balls into the box at will as the R’s worked hard to contain them in what was an excellent atmosphere at Ashton Gate. On 87 minutes typically-excellent trickery from Eze got him into the box and as he fell to ground there were calls from the visiting fans behind the goal for a penalty but the referee wasn’t interested. But in injury time, the referee did give a penalty and it fell the way of the hosts. It was so harsh on the R’s but they will now look to pick themselves up with a fifth-round cup tie against Watford at Loftus Road on Friday night.